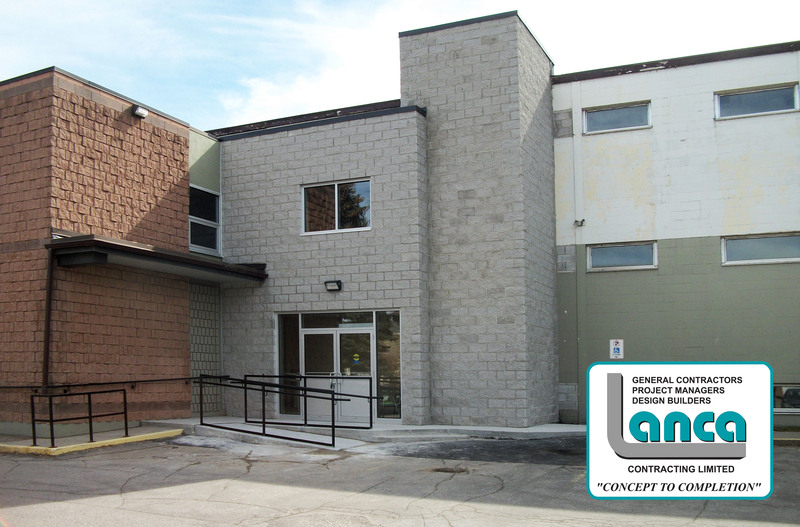 Dr. Dost – Central Professional Building – Elevator Addition – LANCA Contracting Ltd.
Lanca Contracting Limited is very pleased with the completion of the elevator addition at the Central Professional Building located at 72 Brant Ave in Brantford. Lanca provided consulting and leadership for the project through Heritage review, site plan approval and permitting. Construction began in fall of 2015. The project consisted of constructing a 5 stop LULA (limited use limited access) lift to service 4 floors of medical offices and the Cenpro Pharmacy on the main floor, and to also create an enlarged vestibule area and handicapped entrance. Exterior finish is architectural block with clear anodized aluminum entrance door and windows.